The Australian government will lose its one-seat majority in parliament with more than half the votes counted in a by-election late on Saturday, creating a potential political crisis for Prime Minister Scott Morrison. The by-election for the wealthy seaside constituency of Wentworth, in Sydney’s east, followed the resignation of former prime minister Malcolm Turnbull who was ousted in August by his own party. With just over 60 percent of votes counted late on Saturday, locals registered a near 23 percent swing against the government’s candidate Dave Sharma, according to official electoral results, propelling Kerryn Phelps, an independent, to victory. “This win tonight should signal a return of decency, integrity and humanity to the Australian government,” Phelps told her supporters in Sydney. During the campaign, Phelps, a doctor, tapped into growing disdain by voters for Australia’s rough-and-ready political system, highlighted by the Liberals’ ousting of their own leader in August – the fourth prime minister to be removed from office by their own party since 2010. As vote counting continued, Prime Minister Morrison acknowledged the impending defeat on Saturday, while pledging to fight all the way until the next election. “We will stand up for what we believe until the bell rings, and the bell hasn’t rung, Liberals, the bell hasn’t rung,” Morrison told supporters. 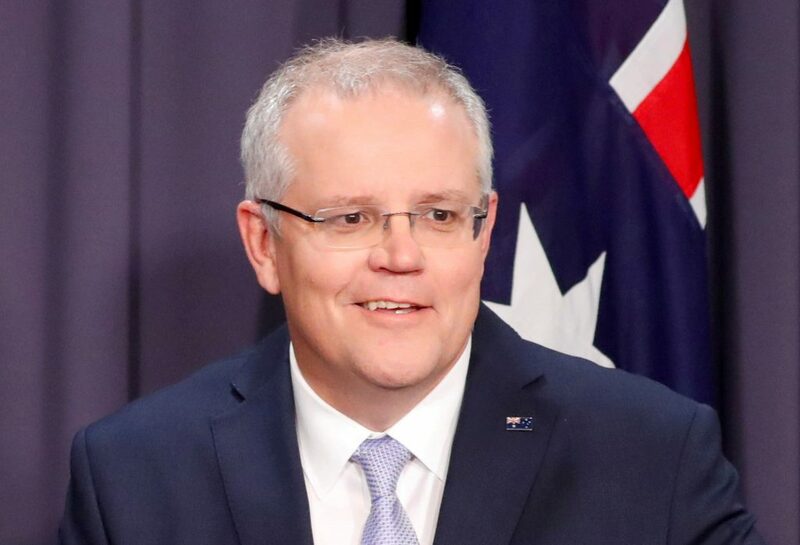 Morrison, more conservative than his predecessor, will now have to rely on the support of independent lawmakers to continue to govern. The next national election is not due until May 2019, although it could happen earlier if the Liberal-led coalition fails to win the support of at least one independent MP and continue to govern. Haydon Manning, a political science professor at Flinders University in South Australia, told Reuters it was unlikely the government could continue until May. Even if Morrison can hold a minority government together, his entire legislative agenda will be driven by five independents. Two independents have already ruled out supporting the government, and others have warned Morrison that he will have to pay a hefty price for their backing. Bob Katter, a former member of the ruling coalition before resigning to sit as an independent, issued a statement immediately after the result became clear outlining his demands, largely around agriculture. To gain his support, Katter said Morrison would have to: offer government-backed loans to drought-affected farmers; clamp down on foreign purchases of agricultural land; and build various infrastructure including a dam and a railway line. “If they don’t deliver these things, then they don’t deserve to survive,” Katter said. Morrison is also dealing with the fallout of a pledge to consider following President Donald Trump’s controversial decision to recognize Jerusalem as Israel’s capital and move its embassy there. The potential policy unveiled during the by-election campaign was designed to appeal to the large Jewish community in Wentworth, but has been widely criticized. Arab diplomats expressed their worries to Canberra this week, and neighboring Indonesia warned that Australia was risking its trade and business relationship with the entire Islamic world.